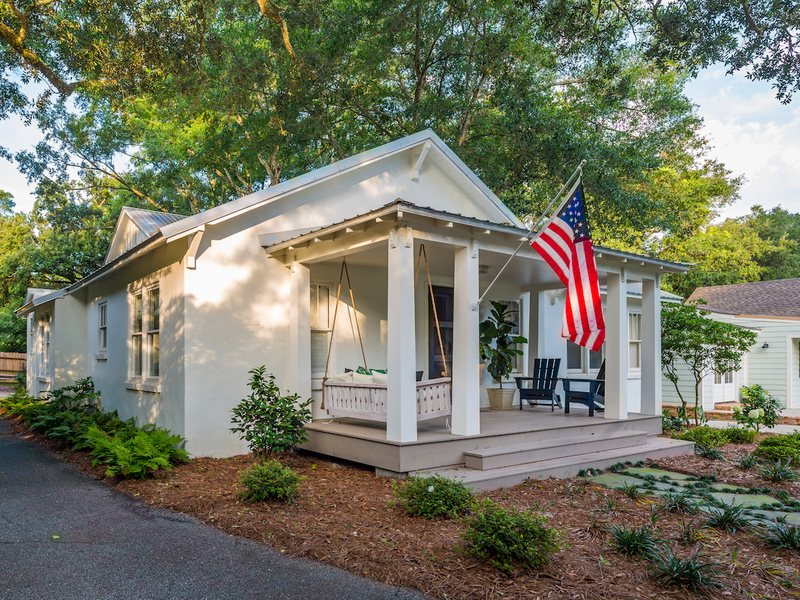 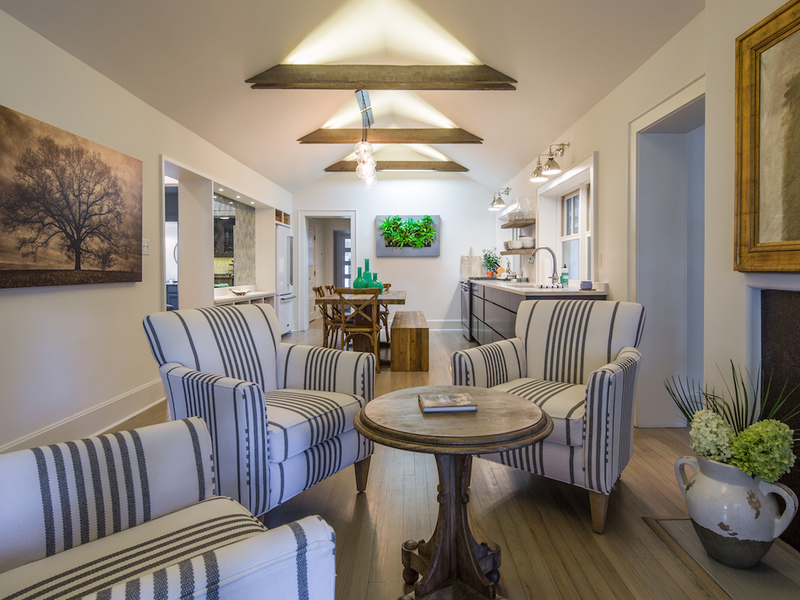 These owners always dreamed of living in one of Fairhope’s quaint little cottages, and as their oldest child prepared to head off to college, it looked like the time was finally ripe to downsize. 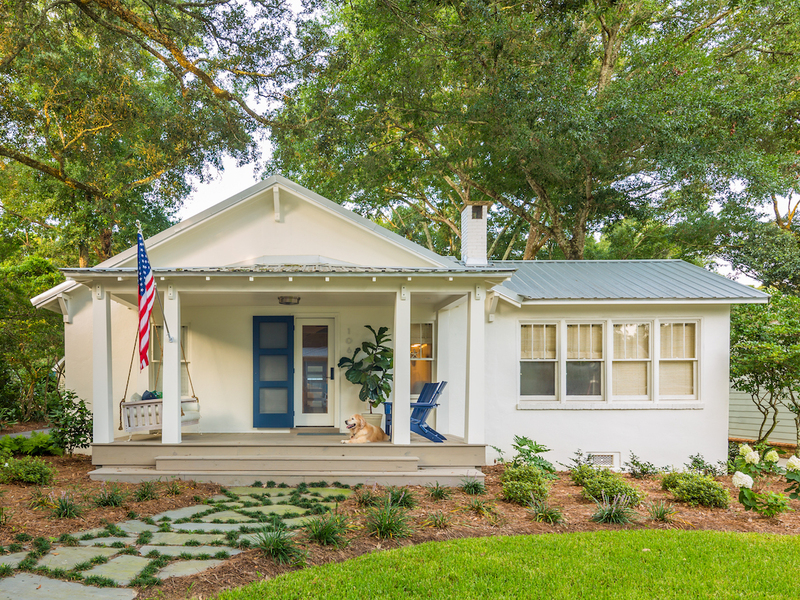 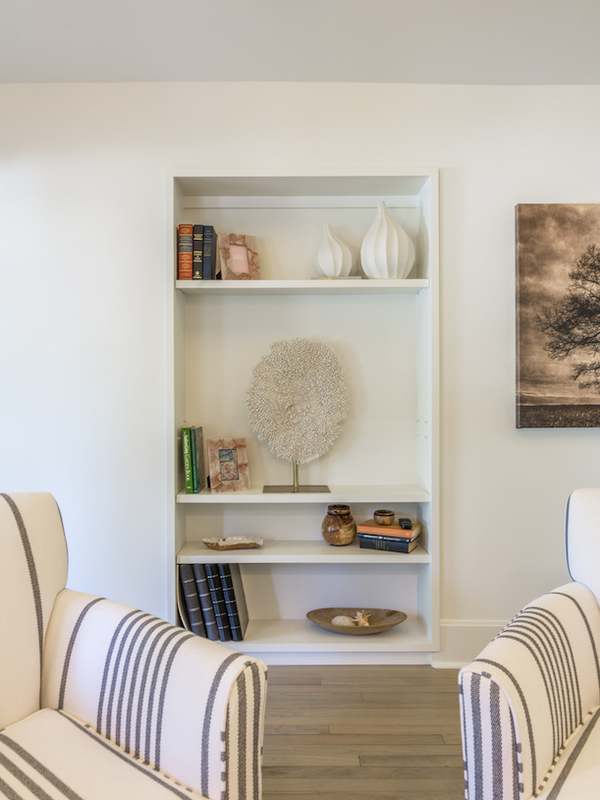 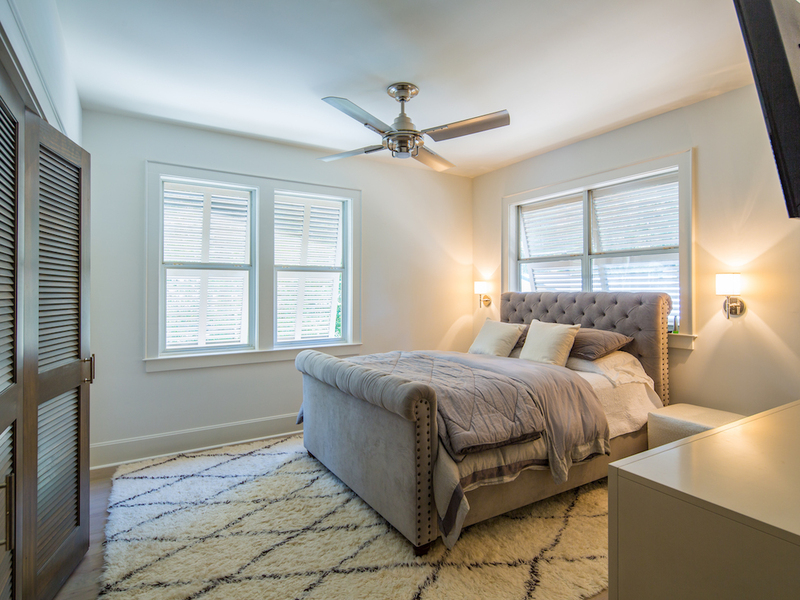 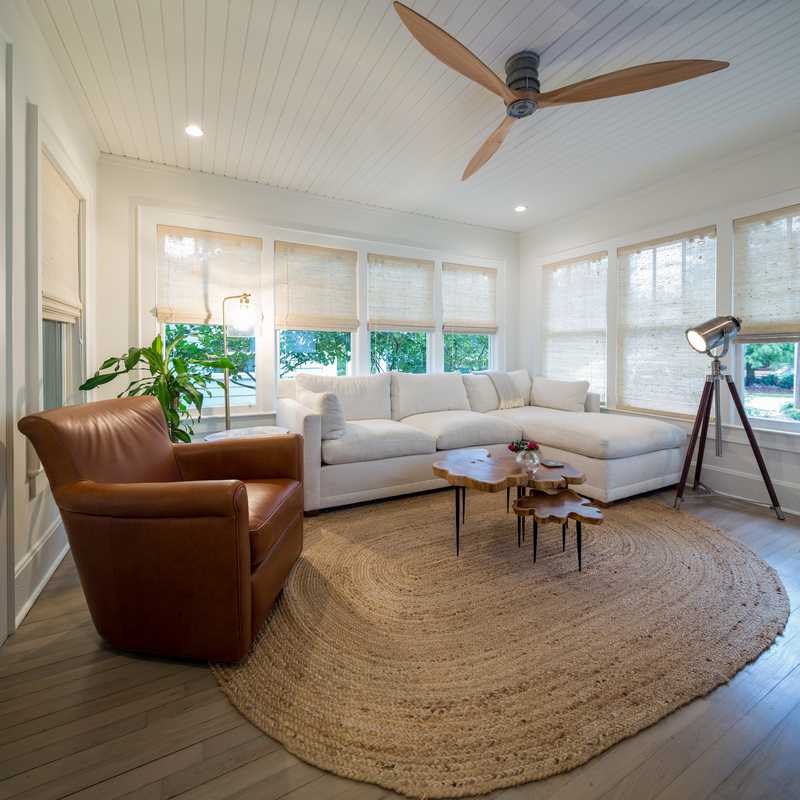 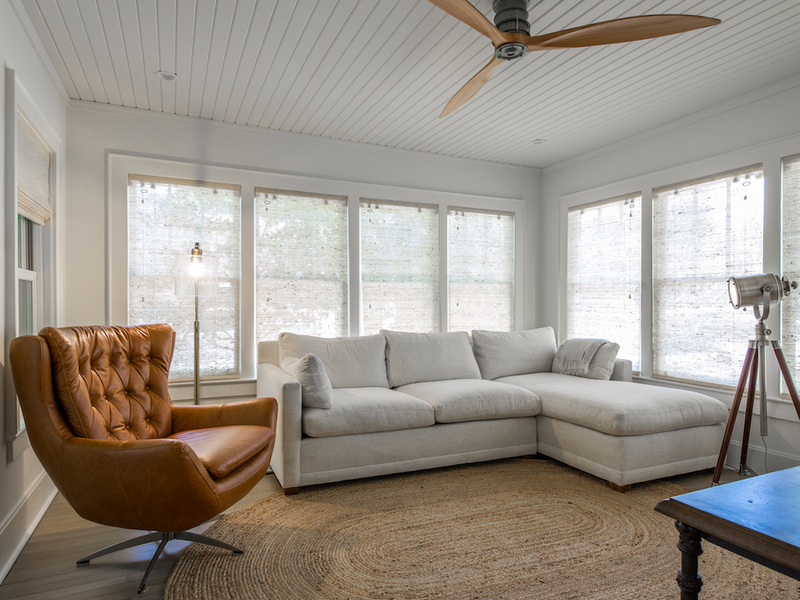 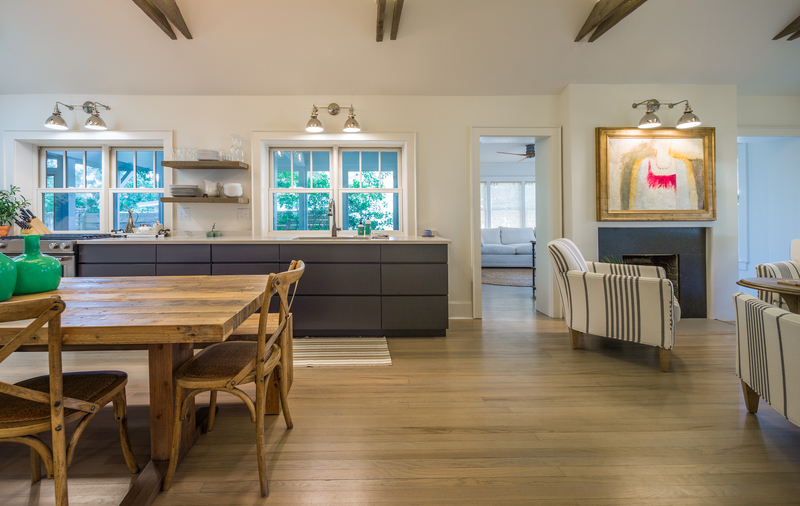 The renovation had to address the results of years of neglect and resolve the relationship between a 1990’s addition and a 1930’s coastal cottage. 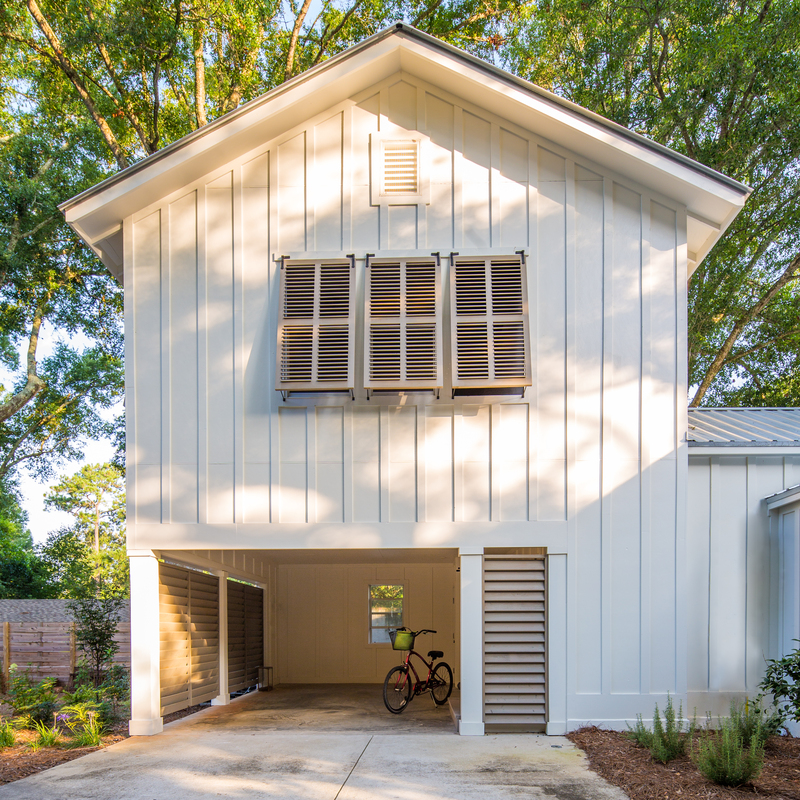 Most importantly, it had to embrace the neighborhood, and support a relaxed coastal lifestyle for the (newly) empty nesters. 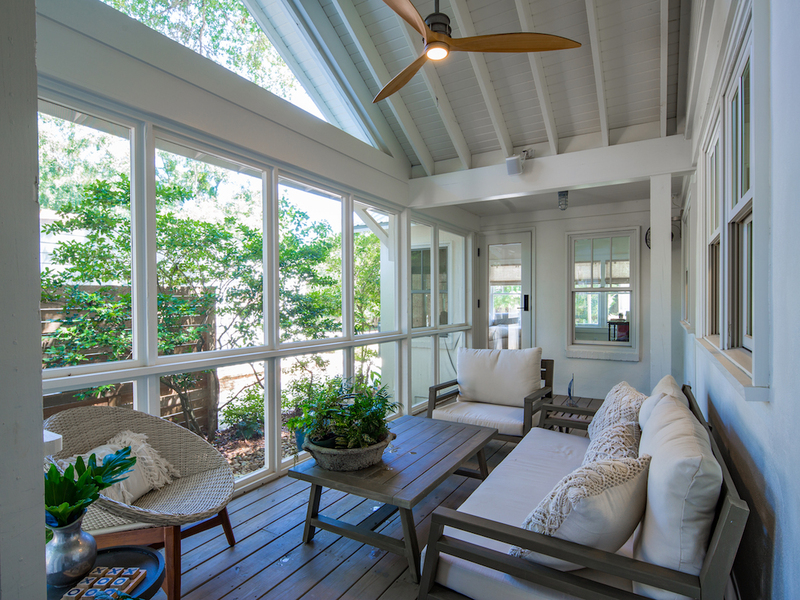 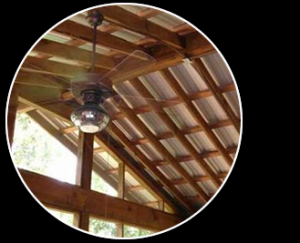 The porches are essential to the transformation. 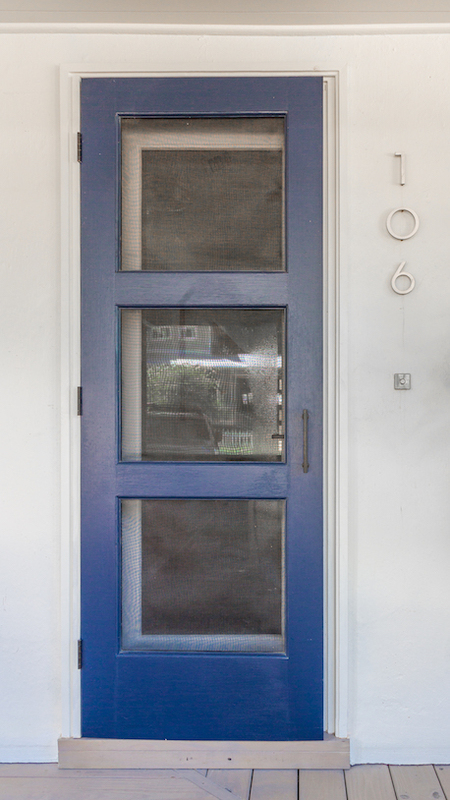 The existing front porch had high rails, and a narrow steps, and there was only a rotting deck on the side yard. 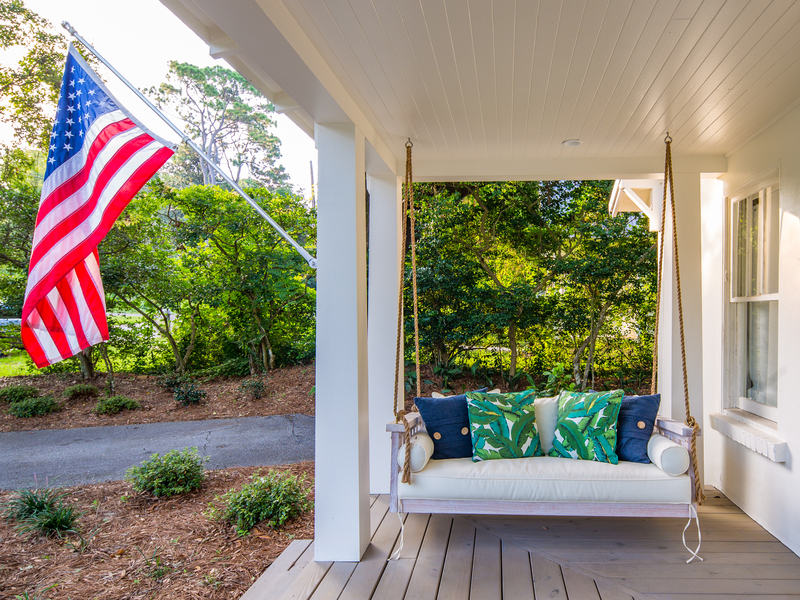 A new front porch with broad inviting steps and a hanging bed for relaxing offers a cozy perch for visiting with neighbors, and sharing a glass of wine. 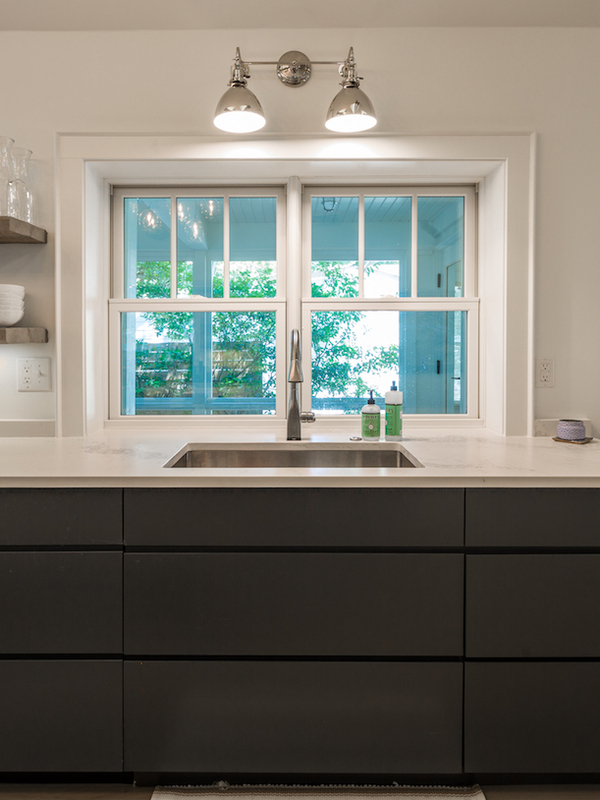 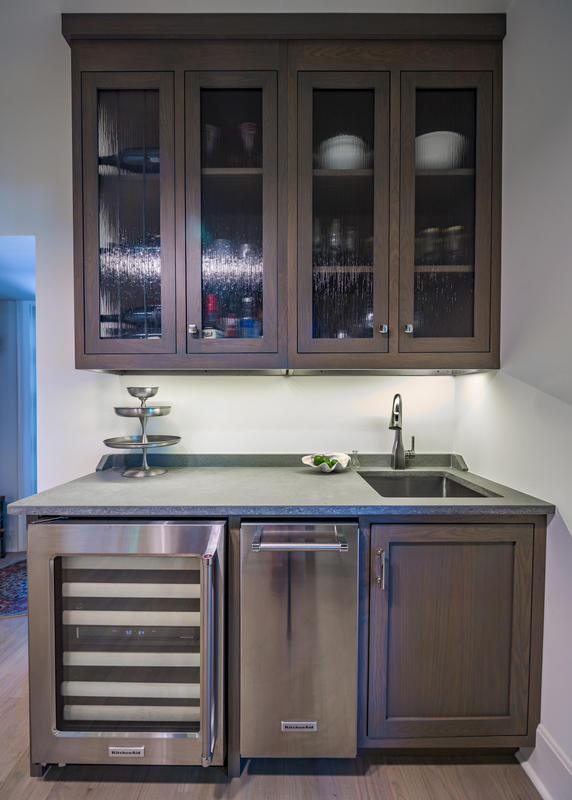 The kitchen windows open onto a screened side porch with a new outdoor kitchen off the butlers pantry. 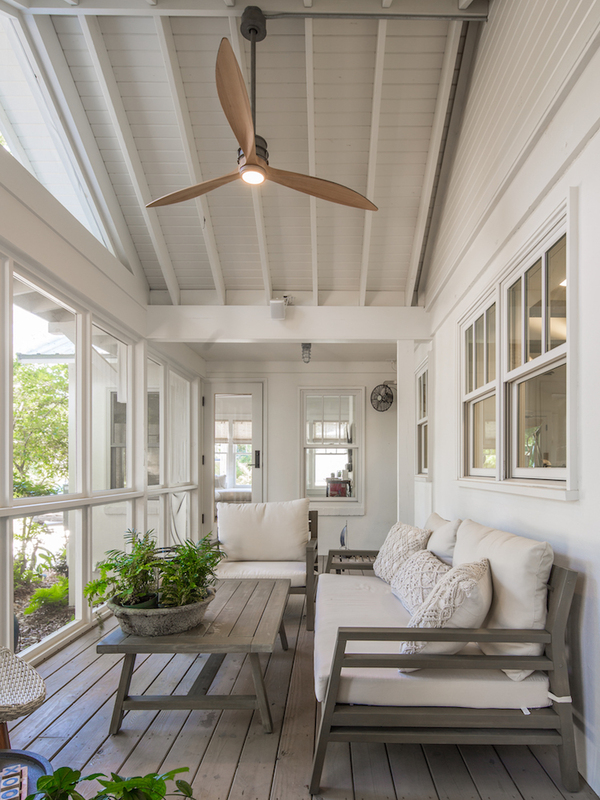 The flow makes outdoor entertaining a breeze. 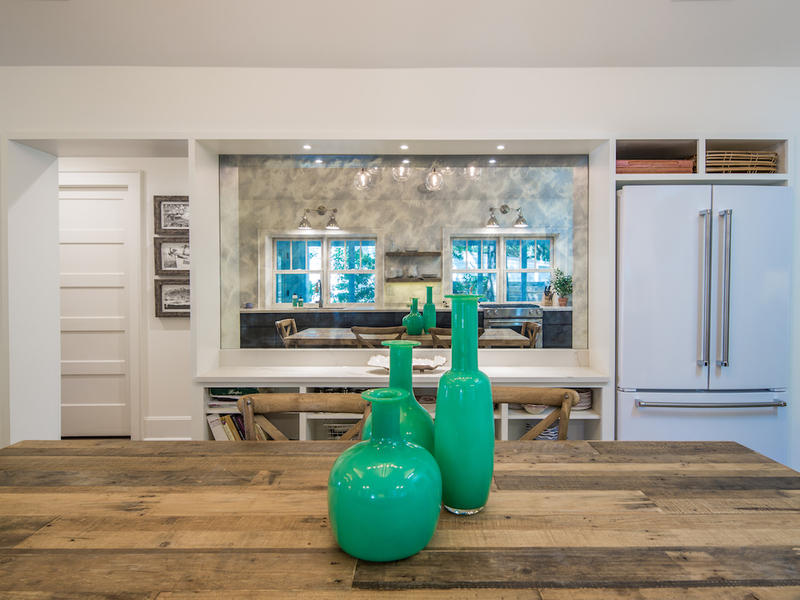 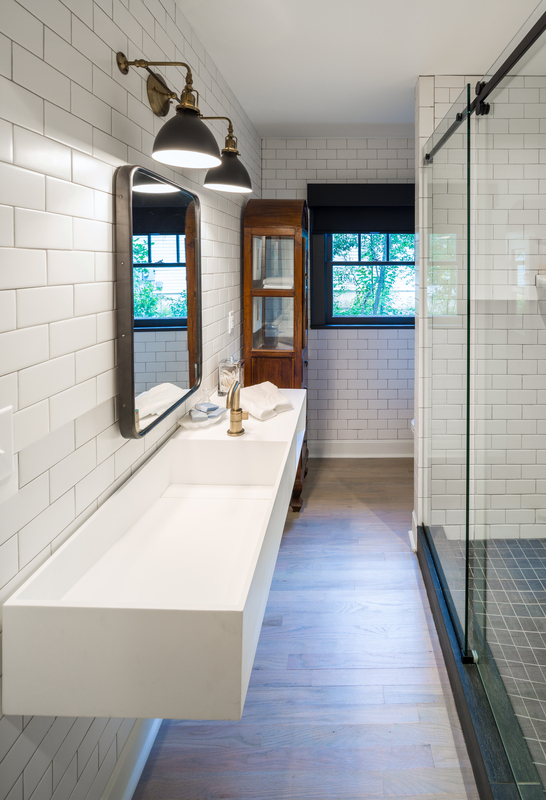 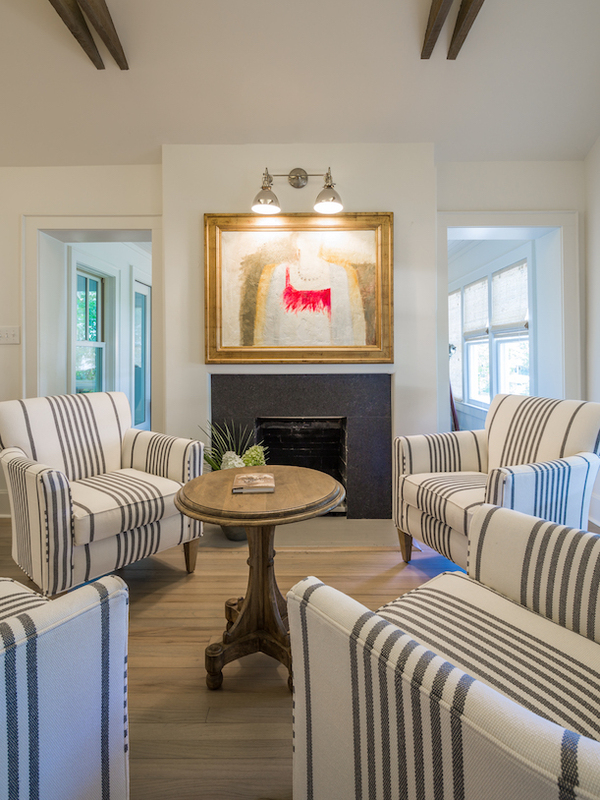 The renovations opened up the house so that it could accommodate a modern lifestyle, while still respecting the historic cottage scale. 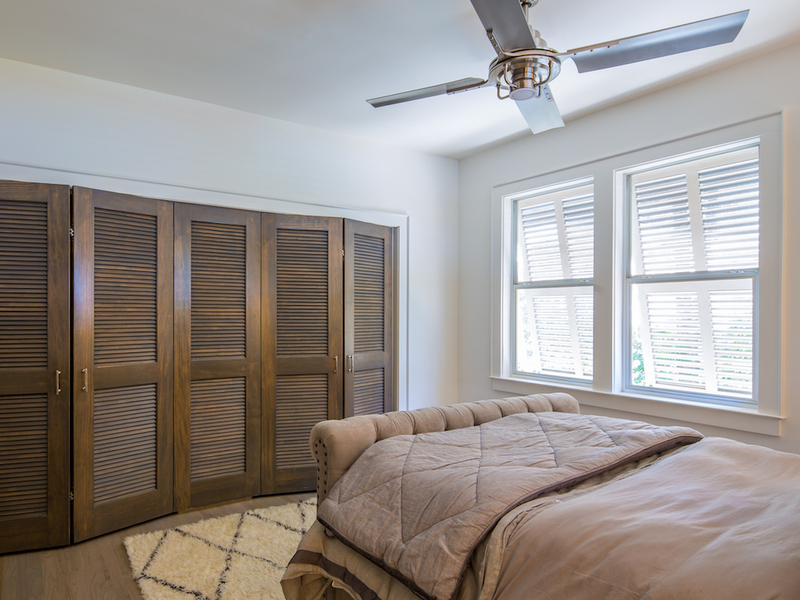 The design plays with light: bouncing indirect lighting off ceilings, using antique mirrors to reflect light and leafy views into interior spaces, and deploying louvered shutters and panels to give the south west facing master suite the feeling of a shady tropical retreat. 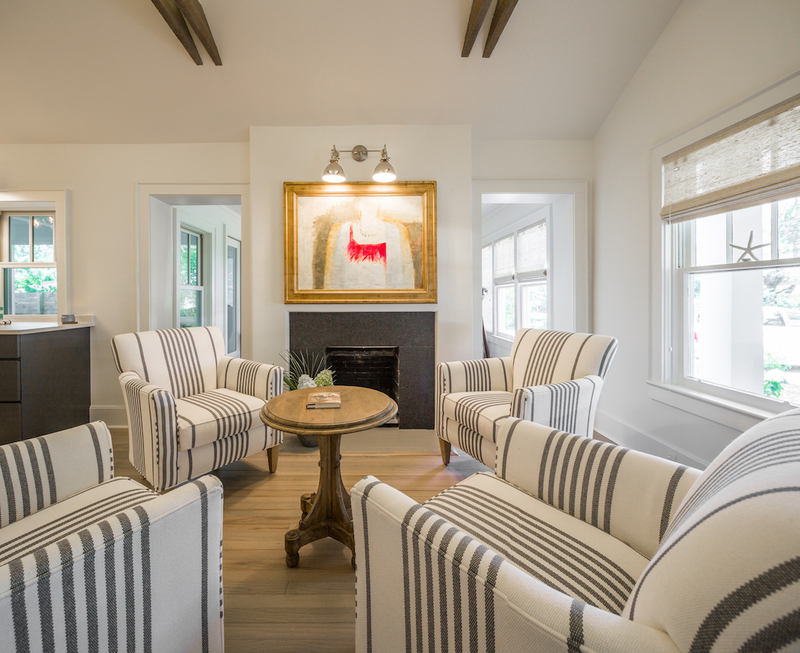 After peeling back layers of wall paper and a graphic history of “styles gone by” a new material palette of limed oak, marble, glass, and chrome works with the architectural changes to infuse the cottage a bright and airy spirit.